The European Sales organization belongs to the Operations and Customer fulfillment department of the Specialties SBU. The Sales organization is built up of 3 teams (~30 FTE in total): Sales team for North Europe area, Sales team for South Europe/MEA area and the team focusing on Global Accounts/OEMs. It is the key customer facing organization that transacts with direct customers and distribution partners from inquiry to pricing, delivery of products to the eventual cash generation for the SBU. The Sales Account manager is commercially responsible for the profitable growth at the assigned Specialties customer base in Germany, including price- and contract negotiations within HQ guidelines, and coordination of logistics and claim handling together with Customer and Technical Service teams. Your customer base consists of important SABIC customers, who value our product and service offerings in terms of supply chain excellence and technical support. Your customer base consists of medium-large captive and not captive OEMs working in different industries, such as Health, Electrical and Mass Transportation. In order to be successful you therefore need to build good relationships with all constituencies, internally and externally. Your objective is to offer them the best customer experience possible and continuously look for ways to increase our added value to the customer and capture part of that value in terms of volume, revenue and margin growth. You are responsible for maintaining and growing our share and profitability at this customer base. 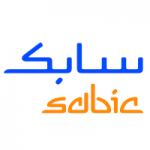 You will work together with other growth teams and stakeholders to develop new customers for SABIC Specialties. On product level you will focus on selling and growing the complete SABIC Specialties product portfolio. You will interact with key internal stakeholders (Product Management, Growth teams, T&I, Pricing team, SCM, and other commercial or technical teams). In this role you need to find a good balance between developing and maintaining excellent, lasting customer relationships in line with our Specialties business strategy and executing on short term commercial goals to make the operating plan. The scope of this role also includes growing the target pipeline and closing business development opportunities. You have data documentation (Account planning) responsibility for your buying and specifying customer base (Captives, Tier 1 and OEM’s), provide input for Sales planning (S&OP) and should maintain projects in CRM System Siebel. You are also required to update the system regularly with current sales data (sales tracking) as well as customer contact information and open project data (leads, open targets). Next to this, there are some Marketing Communication activities, such as fairs and active participations through booths or presentations. We require you to develop a good understanding of the competitive environment in Germany for relevant industries/products. Your background allows you to develop and exploit in-depth product knowledge to grow and create business with your customers. You are a team player, but work independently from home office, and will work closely with your peers in Germany and in the Specialties team across Europe and in Headquarter to exchange best practices and obtain the best team result. For more information about this role you can contact Laura Deckers (Corporate Recruiter) via laura.deckers@SABIC.com.